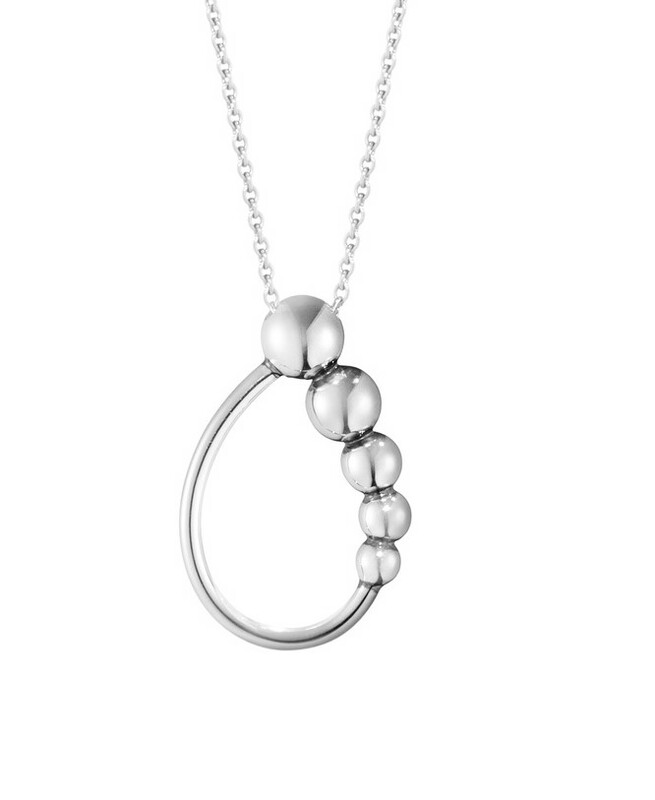 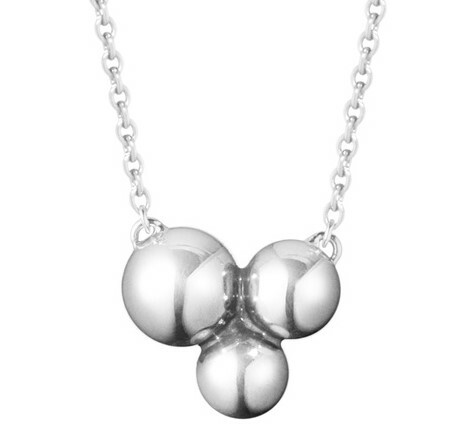 A graduated row of highly polished sterling silver beads are transformed into this classic, very wearable, timeless pendant. 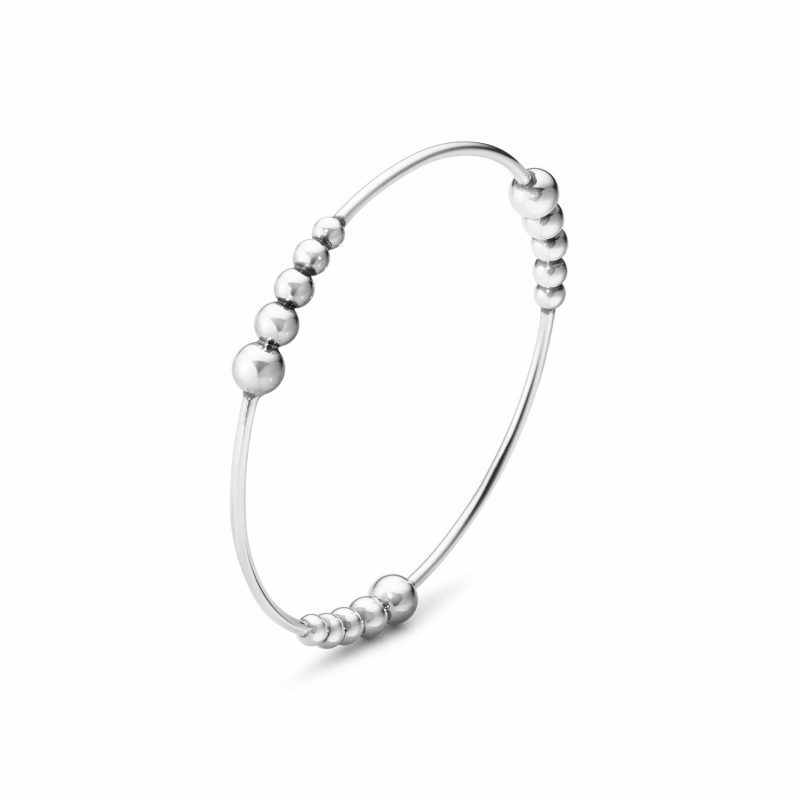 Perfect to be worn on any occasion. 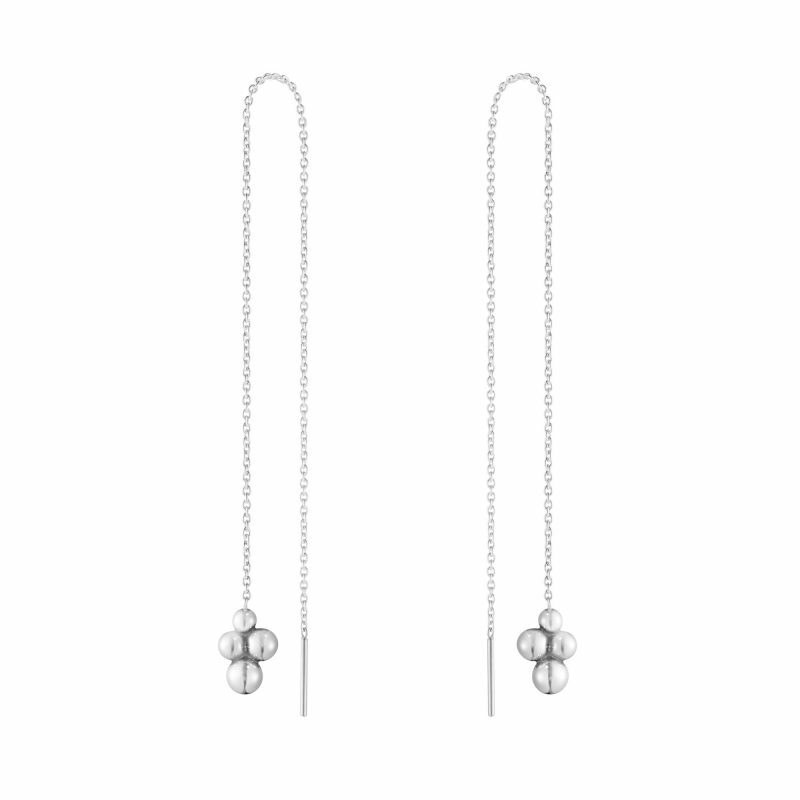 The Georg Jensen Moonlight Grapes jewellery collection has an organic, sculptural design inspired by earlier designs from the Georg Jensen Archives.